One of the first things to do in a new network is to create Users, also called User Objects. As long as you know the information about the user you need to create, the process will take no time at all. This is a task we want to do from a Domain Controller, and you should have the Administrative Tools in your Start menu next to the Control Panel link. We’ll choose the Active Directory Users and Computers snap-in. 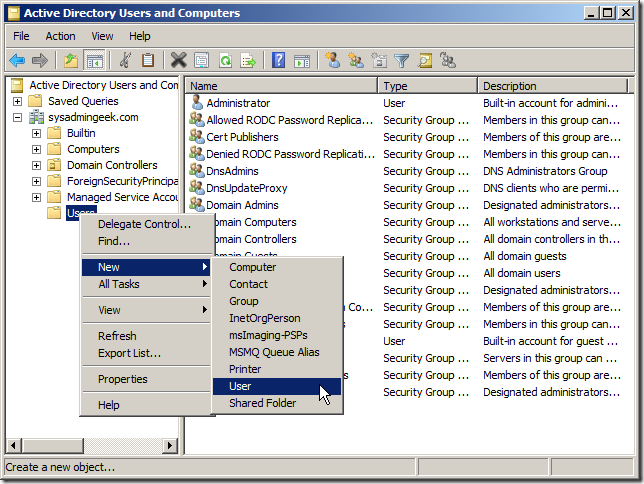 Once we’re inside the Active Directory Users and Computers snap-in, we’ll need to expand the domain in which we want to create the user, and right-click on the Users folder. We’ll then select New|User. 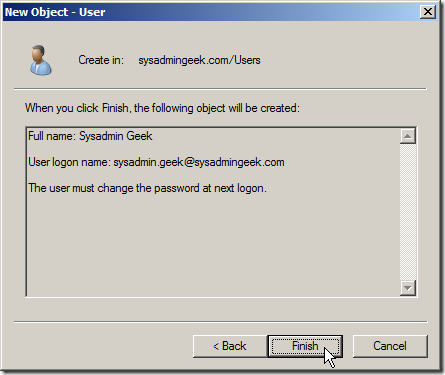 The New Object – User box will pop up and require you to put in the user’s name and create the user logon. 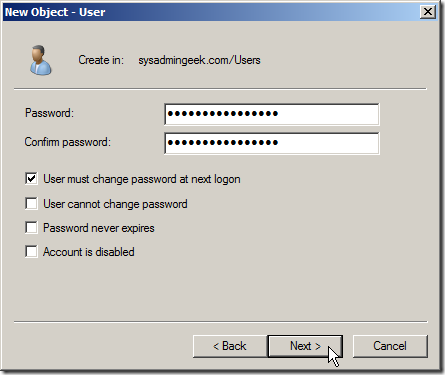 You’ll need to use a standard method of creating user logon names, as this will cause much less confusion in the future. If you have a small network, you may want to just stick to using the first initial and last name because it’s shorter. If you anticipate that your network will grow quite large, the standard advice is to use the full first and last name separated by a period, as we’ve done below. Next we’ll give the user an initial password, and make sure to have them change it as soon as they first logon. When we’re finished, we’ll get a nice summary of our work. When we go back to the Users folder in the domain, we can see our newly created user. 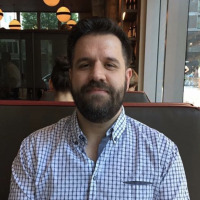 Once we’ve created a user, there are many things that we’ll need to do with them in order for them to be useful, like adding permissions and security groups, but at least the operation for spawning them is simple and straightforward.